One Piece 3D2Y Overcoming Ace's Death! 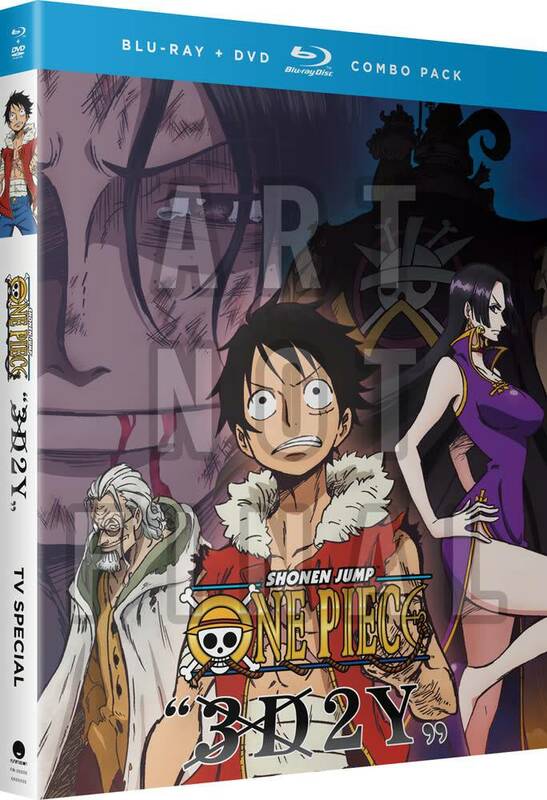 Luffy's Pledge to his Friends Blu-ray/DVD is a TV Special from the widely know One Piece anime directed by Munehisa Sakai. Haunted by the tragic loss at Marineford, Luffy continues his two-year training session under Rayleigh’s tough tutelage. His Haki power is hardly developed when the escaped convict, Byrnndi World, wreaks havoc on the high seas and kidnaps Boa Hancock’s sisters! 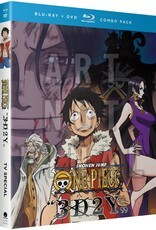 Determined to save them, Luffy teams with Hancock for a bold rescue operation that won’t just test his new powers—it’ll test his will to get stronger for the crew that awaits his return.